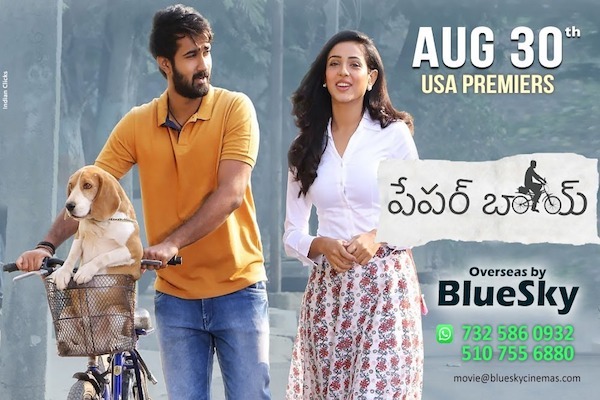 A Geetha Film distribution, Sampath Nandi Team works and BlueSky Overseas release Paper Boy is all set for USA Premiers today Aug 30th in limited locations. Paper Boy is a simple love story told in a beautiful way which made with great moments, cool visuals and heart touching dialogues followed by melodious songs and back ground score. 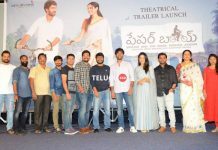 Trailer and songs are getting great response and being appreciated by start hero’s like Mahesh Babu garu and Prabhas garu. Enjoy this cool romantic entertainer in this hot summer for this Labor Day long week end with regular ticket prices in theaters near to you. Watch on big screens and stay away from piracy. Click Here!! for USA Theaters List.